Dell Technologies' company culture is based on a set of values they strive to work and live by every day. It's the foundation for all they've achieved and continues to drive their success. It's their #CultureCode. I wrote the script for this video in order to help define those values. Verb, based in Austin, Texas, runs large-scale social entrepreneurship competitions to accelerate thousands of ventures throughout the world with funding, mentorship, and global exposure. Through their competitions, Verb has formed a global network of thought-leaders, entrepreneurs, and creative geniuses who have joined together to drive a global movement of social responsibility. One such competition is the Clearly Vision Prize for which I've created brand assets including web content, video scripts, email invitations and a complete brand messaging library. 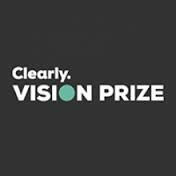 The goal of the Clearly Vision Prize is to inspire the world’s most creative minds to collaborate, discover, and develop ideas to help make vision care and treatment available to the 2.5 billion people who suffer from poor eyesight. I created the script for the following video created for recruitment. The Clearly Labs were created as a unique brainstorming experience for a curated group of some of the world’s best and most creative minds to collaborate, discover, and develop an idea for worldwide vision treatment and care. In order to drum up excitement for each event, I created the script for the video below to spur healthy competition. As copywriter for Spec’s, I was routinely tasked with creating local radio and television spots, monthly magazine and weekly newspaper ads, and blog posts. When confronted with the challenge of creating a broader web-presence, I suggested a blog to showcase Spec's breadth of wine, beer and food knowledge, thus creating the Spec's blog "Spec's-ology." Scroll below for a taste of those inaugural posts, drink in a few headlines and enjoy a particulary "cheesy" TV spot.